The work of the Altar Guild is to create a beautiful atmosphere at the altar and in the church so that our experience of worship is enhanced. 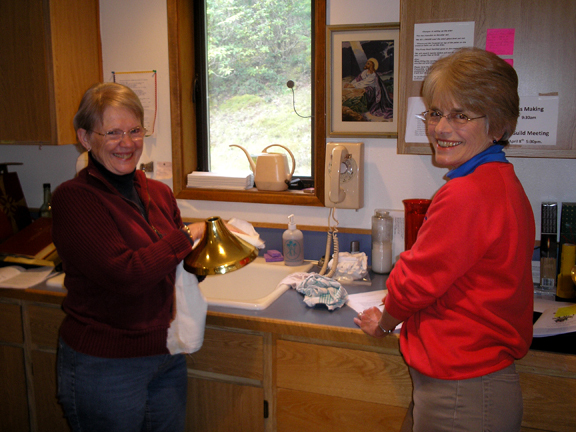 Members of the Altar Guild set out the beautiful silver vessels and the cloth hangings each Sunday, and they make sure that we have wine and bread ready for Holy Communion. Members of the Flower Guild create beautiful arrangements for the altar, and send them to home-bound members or those in the hospital. Membership in the Altar Guild is open to all who want to serve God in this lovely and graceful ministry.